Background/Info: Anna Aliena is a Berlin based classically trained mezzo soprano. She already released several EP’s, but no full length thus far. 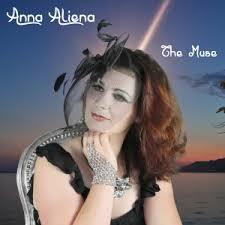 Content: “The Muse” features the familiar elements of the Anna Aliena sound. The classically trained mezzo soprano has a very unique timbre of voice creating this particular opera feeling, which is merged with a rather gothic-minded sound. The composition moves in between neo-classic and pure cabaret. It’s dark, but filled with some dreamy passages. The song “The Muse” reminds me a bit of the solemn format of Sopor Aeternus. 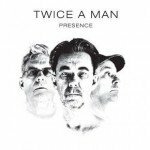 A few other songs are more into a kind of cabaret approach. “Deine Blauen Augen” is a beautiful song in the genre. ↑↑↑: Anna Aliena is a talented singer who has found the right balance between her classically trained voice and a beautiful gothic-reverie sound. ↓↓↓ : I’m still waiting for an absolute hit from Anna Aliena, which would for sure help her to get more recognition. 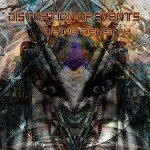 Conclusion: Anna Aliena is a kind of ‘alien’ active in the wider fields of gothic music. Best songs: “Deine Blauen Augen”, “The Muse”.